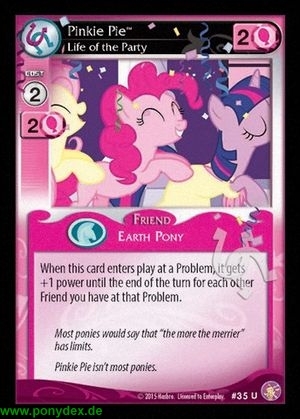 When this card enters play at a Problem, it gets +1 power until the end of the turn for each other Friend you have at that Problem. Most ponies would say "the more the merrier" has limits. Pinkie Pie isn't most ponies.